Born March 5, 1942 in Bandjar Ciamis, West Java, Indonesia, was educated at the University of Indonesia, Jakarta (B.A., M.S. ); The Institute of Social Studies, The Hague, Netherlands; The University of California at Berkeley, USA (M.A.) ; and The London School of Economics, UK (Ph.D). Son of the late Dr Sudarsono, who was Minister of Home Affairs and Minister for Social Affairs in the late 1940s, Juwono served as head of the department of International Relations and dean at the Faculty of Social and Political Science, University of Indonesia (1985-1994) and taught at The School of Public and International Affairs, Columbia University, New York City in 1986-87. In public service, Juwono Sudarsono has served as Vice Governor of The National Defence College (Lemhannas), 1995-1998; Minister of State for the Environment under President Soeharto, 1998; Minister for Education and Culture under President B.J. Habibie, 1998-1999; Minister for Defence under President Abdurrahman Wahid, 1999-2000; Ambassador to the United Kingdom under President Megawati Soekarnoputri, 2003-2004; and Minister for Defence under President Susilo Bambang Yudhoyono, 2004-2009. Apart from interests in defense strategy, management and planning, Juwono Sudarsono strongly believes in “non-military defence”, including the defence of human resources and skills, of science and technology, as well as the defence of social justice and cultural values as constant processes of nation and character building. Juwono Sudarsono was married to Rr. Priharumastinah in November 1973, and has two sons, Vishnu Juwono (b. 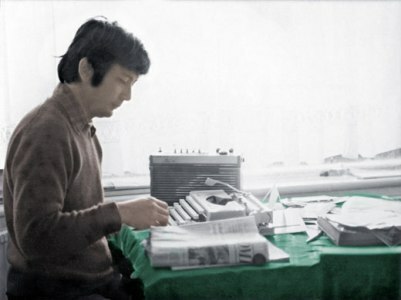 1974) and Yudhistira Juwono (b. 1978). The family also includes three dogs, Milo, Balto, and Max. This site is primarily a weblog. It is a personal blog containing Juwono Sudarsono interest, views, opinions and activities. He will try from time to time to post in Indonesian, but will focus mainly in English to reach wider personal audience with both Indonesian and non-Indonesian nationals who may care to share their views and counter arguments about particular issues. Yes, this is the official website/blog of Juwono Sudarsono.